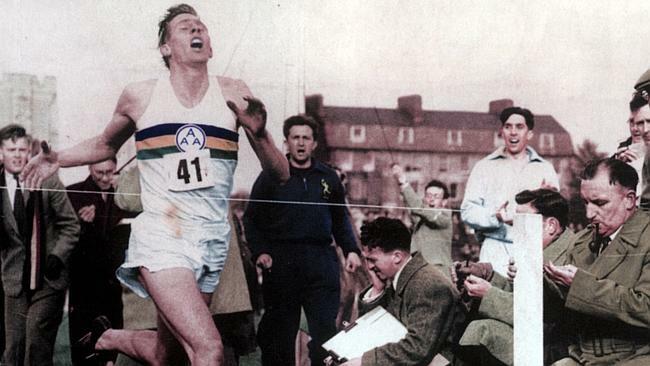 The first person to run the mile in under four minutes was first achieved on 6 May 1954 by Roger Bannister in 3:59.4 that's 3 minutes and 59.4 seconds. For many years, athletes had tried and failed to run a mile in less than four minutes that people thought it to be a physical impossibility. It became known as the the "four-minute barrier". The world record for a mile stood at 4 minutes and 1.3 seconds, set by Gunder Hagg of Sweden in 1945. 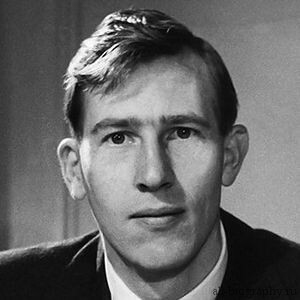 Roger Bannister, born in Harrow, England, in 1929, was a top mile-runner while a student at the University of Oxford and at St. Mary’s Hospital Medical School in London. In 1951 and 1953, he won British championships in the mile run. Bannister researched the mechanics of running and trained using new scientific methods he had developed. On May 6, 1954, at the Iffley Road track in Oxford Oxfordshire, the annual match between the Amateur Athletic Association and Oxford University was the setting for Bannister's attempt. Conditions were far from ideal it had been windy and raining. The starting gun was fired at 6 p.m. Bannister was aided by Chris Brasher. Bannister took over the lead and passed an unofficial timekeeper at the 1,500-metre mark in 3 minutes 43 seconds, equaling the world’s record for that distance. Bannister pushed on to the mile and passed the finish line. As soon as the first part of his score was announced “three minutes…” the crowd erupted with elation.